This year, we have experienced extremely high levels of conflict, mostly as a result of heavy rainfall and a booming lion population. And although the communities have been extraordinarily tolerant, we have hired four new Guardians to help proactively mitigate conflict in our operating areas. Our office manager Merishi recently got a chance to catch up with our new team members, learn more about their backgrounds, and find out how their experience working for Lion Guardians has been so far. Here, Merishi shares what he learned. Kuya is our new Guardian for Risa zone in Olgulului Group Ranch. He grew up in his current area of residence, and never went to school. Kuya’s father passed on while he was still young. This was really traumatizing, but being the firstborn in his family, he had to learn to quickly become a responsible young man at a very tender age. His grandfather (a prominent old man in Risa) took the role of a ‘father figure’ to him. Kuya explained that his grandfather has molded him to become a respectful and responsible man. Kuya has spent his adult life so far herding family livestock. 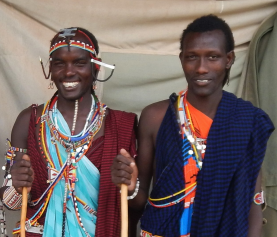 He was excited when he secured a job with Lion Guardians, and his family was also happy. Kuya explained that he is now able to feed his family and pay school fees to his nine siblings, one of which (a girl) is in high school. He chuckles and says his siblings were excited to see him being able to write his name and that of his zone as well as GPS points. He expounded to them that this was made possible by Lion Guardians – an employer who cares for those who never went to school. Lepilal is our new Guardian for Inkiito zone in Olgulului Group Ranch. Lepilal has never gone to school. 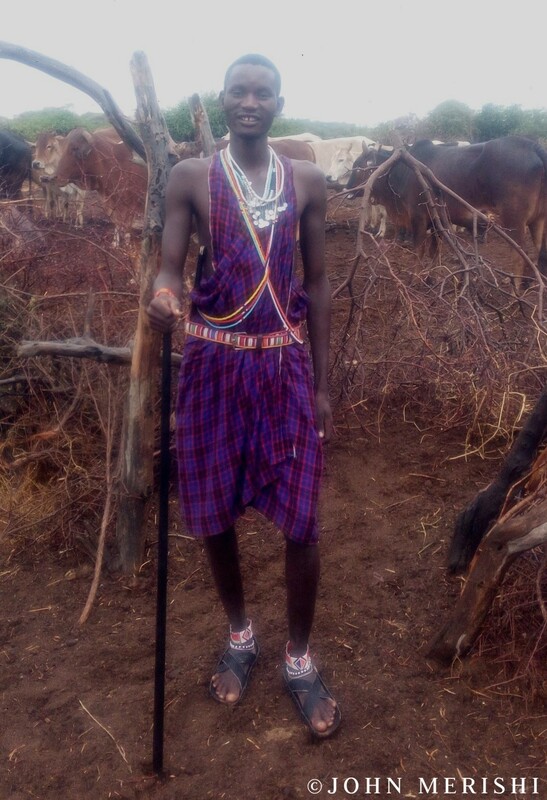 Previously, he worked in Imbirikani Group Ranch as a paid herder, but he decided to resign from the herding job in order to concentrate on herding his father’s livestock since there was no one else to look after them. Lepilal narrated that one day while he was herding together with his younger brother, he saw a big group of armed warriors from a distance. The group told him that they were on a hunting mission and he agreed to join them. They found a big herd of elephants and attempted to hunt them. A lactating female elephant charged at them, and he witnessed a terrible scene when one of his colleagues was almost trampled upon by the elephant. They all escaped death by a whisker. From this experience, he wondered why they were killing innocent animals, and decided to persuade his colleagues to drop the idea of the hunt. He told them that they were lucky that they are all alive and that they should allow animals to live and enjoy life. He managed to convince them, and the hunt came to an end. From then on, he chose to love animals. Lipilal says he is happy that he emerged the best in Lion Guardians’ interviews in his area and was chosen as a Guardian. He hopes to influence his age-set to stop hunting and conserve lions and other wildlife. He believes that wildlife has a lot of benefits for communities that live with them. 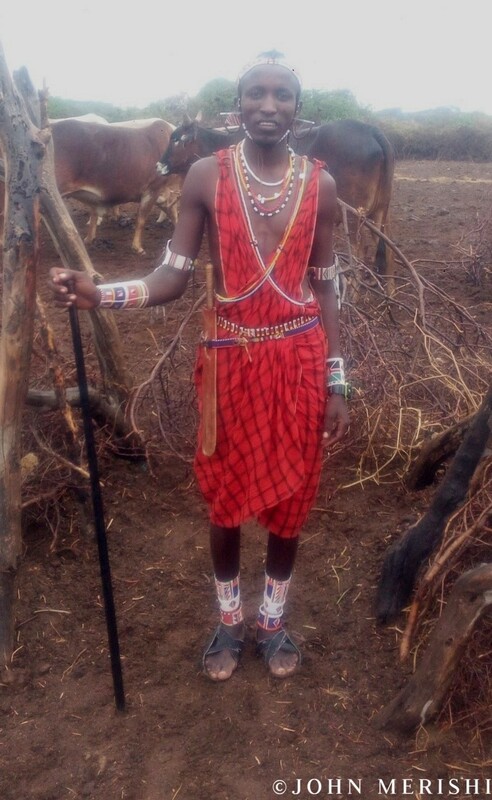 Lolepo is our new Guardian for Meshenani zone in Olgulului Group Ranch. 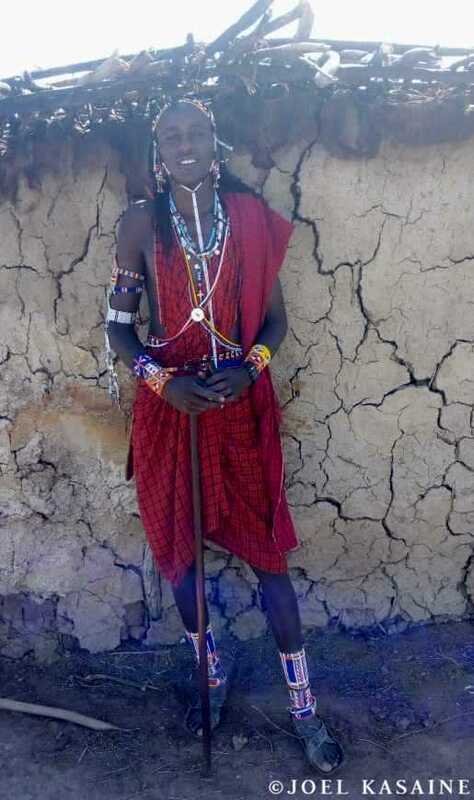 He did schooling up to class two, but dropped out when his parents were unable to pay his school fees, and he was recruited by his neighbor as a paid herder. Lolepo explained that he was very excited when he received a call from Lion Guardians’ office informing him that he emerged the best during the interviews and that he had been chosen as a Guardian. He explained that he enjoyed the literacy training, and that it refreshed good memories about his schooling. He expounded that it is fun to work from home since it gives him a chance to serve his people, and added that his peers are proud of him for securing employment with a reputable conservation entity. 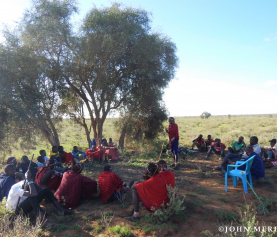 Lolepo appreciates the fact that community members call him whenever they need his help in searching for lost livestock, fencing bomas, and whenever there is any depredation case. He enjoys tracking lions with the aim of proactively preventing possible human-wildlife conflict. The Guardian concluded by saying that he is proud to have helped in searching for hundreds of lost livestock since he started work in June. Nchoke is our new Guardian for Oloilalei zone in Olgulului Group Ranch. Nchoke dropped out of class one when his parents were not able to pay for his school fees. He has worked as a herder in the past, and was working as a laborer when luck knocked on his door and he got employed by Lion Guardians. Prior to his employment as a Guardian, Nchoke participated in two hunts, but was quick to explain that both were unsuccessful because the Lion Guardians, scouts, and the area chief stopped them. Once these two hunts got stopped, he began to accept that things have changed and many people have since agreed to coexist peacefully with wildlife. Since then, he started to develop a soft spot for wild animals. In May 2018, that appreciation paid back when Nchoke got recruited as a Guardian. 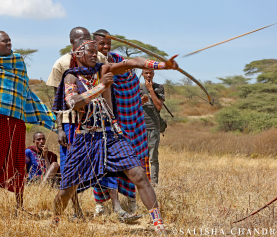 He says Lion Guardians has positively impacted local communities by employing locals who then help their communities in return – by fencing bomas, searching for lost people and livestock, etc. He says that it is fulfilling for one to serve his own people. 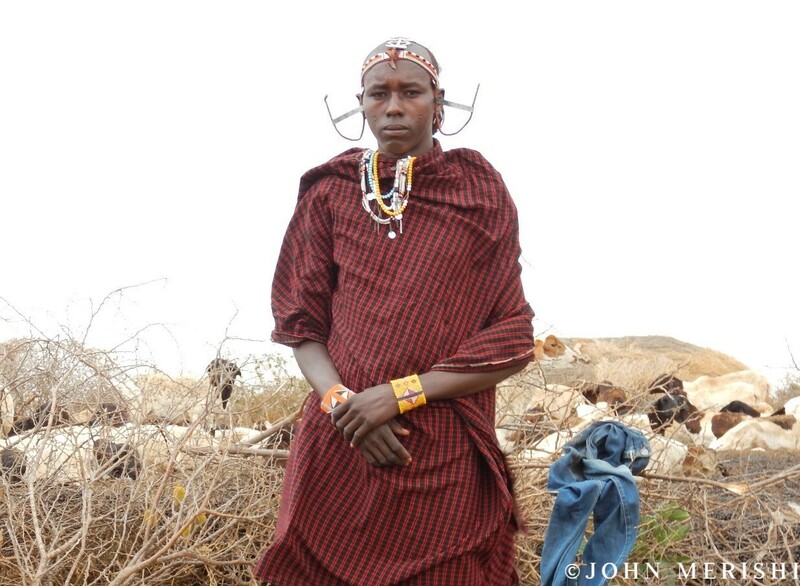 He enjoys that ‘moment of happiness’ when he finds a lost herder or livestock and takes them back to their families. Nchoke hopes to use his position as a conservator to enlighten his peers on the importance of lions and other wildlife, and has already been able to stop twenty warriors in Leremit from hunting three lions that had killed cows in July this year.